ICESat measurements of the distribution of winter sea ice thickness over the Arctic Ocean in 2004 and 2008. 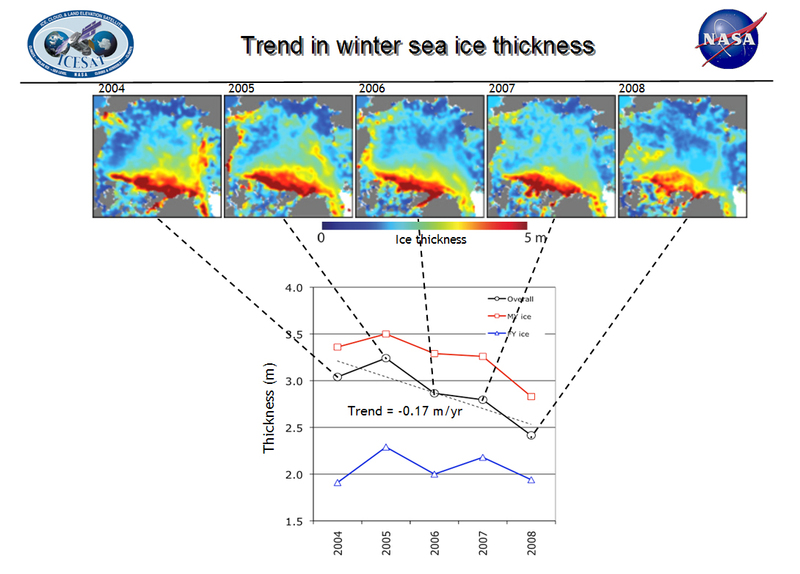 Click link for measurements between 2004 and 2008, along with the corresponding trends in overall, multi-year and first-year winter ice thickness. 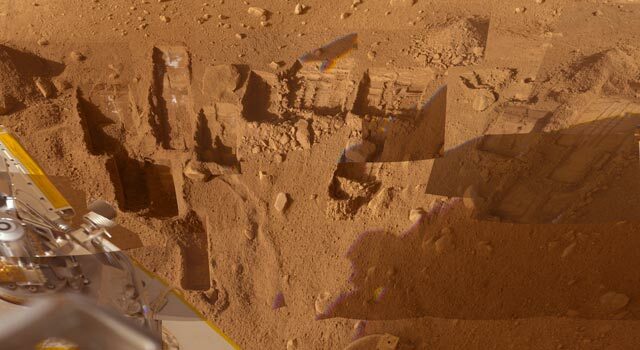 Credit: Ron Kwok, NASA/JPL. 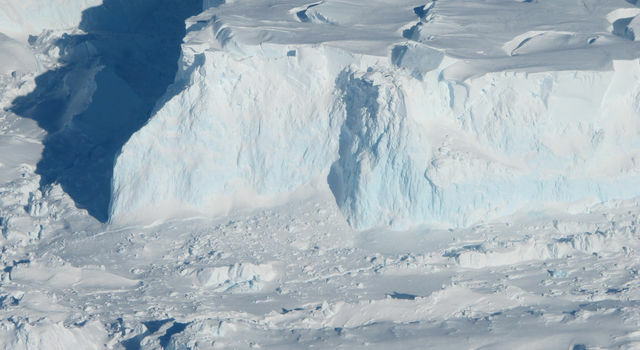 PASADENA, Calif. - Arctic sea ice thinned dramatically between the winters of 2004 and 2008, with thin seasonal ice replacing thick older ice as the dominant type for the first time on record. The new results, based on data from a NASA Earth-orbiting spacecraft, provide further evidence for the rapid, ongoing transformation of the Arctic's ice cover.